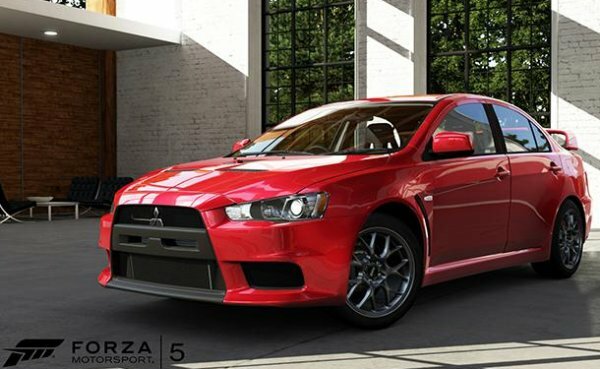 Since Forza Motorsport 5 was first announced a few months back, we have gotten a look at the gameplay and a variety of vehicles included in the game but there has not been an official vehicle list for Forza 5 – until now. The ForzaMotorsport.com website posted two lists today, one including the cars that we have already seen in a nice tidy list along with a second list that officially announced the first grouping of vehicles that we have not seen. Today’s announcement also included in-game footage images of the 2008 Mitsubishi Lancer Evo X GSR (shown below) and the 2002 Nissan Skyline GT-R V-Spec II (shown above). 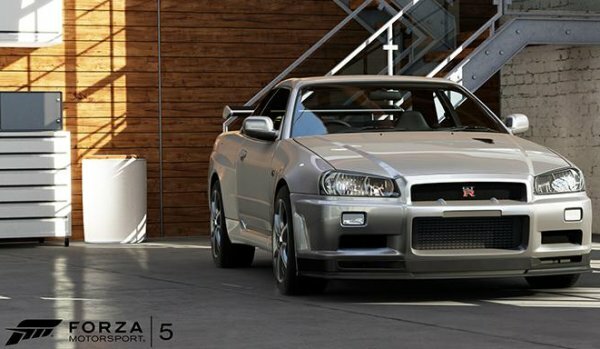 While the car list is important, these screen shots of the Evo and Skyline R34 are remarkably detailed…looking more like high resolution photography of the cars than screen shots from a video game. Seeing these images also makes me want Forza 5 to be available right now but like everyone else who has already ordered Forza 5 and the Xbox One, I’m stuck waiting until late November. Interestingly, while there is a nice spread of vehicles included in this first Forza 5 car list, you may notice that there are a handful of brands not mentioned at all. Most notably, there are currently no BMW models, no Corvettes and very few race cars including Vipers, Corvettes, Mustangs and the Holden Commodore that is sponsored by Forza 5 and Xbox One. Of course, we expect to see all of those names well represented on the final list but it is curious that both the BMW brand and any Chevrolet Corvettes are excluded from the first list. It is also interesting that there the 2011 Lamborghini Gallardo LP570-4 Superleggera is listed twice so there could be a typo from the game maker or perhaps one of them is a race car or some special edition vehicle in the game. I have put together a list of the cars already announced for Forza Motorsport 5 with the vehicles arranged by alphabetically by brand beginning with Alfa Romeo and ending (for now) with TVR. Right now, there are 44 cars on the official list from Turn 10 and while there has been no idea offered on how many vehicles will eventually be featured in Forza 5 – we expect to see many, many more before the debut of the game and the new Xbox One console in late November. Turn 10 has promised a new car list each Wednesday between now and the launch of the game and with us being roughly two months out (nine Wednesdays), we could see almost 200 new vehicles added to the list over the next few weeks at the current rate of 20-ish vehicles per week.